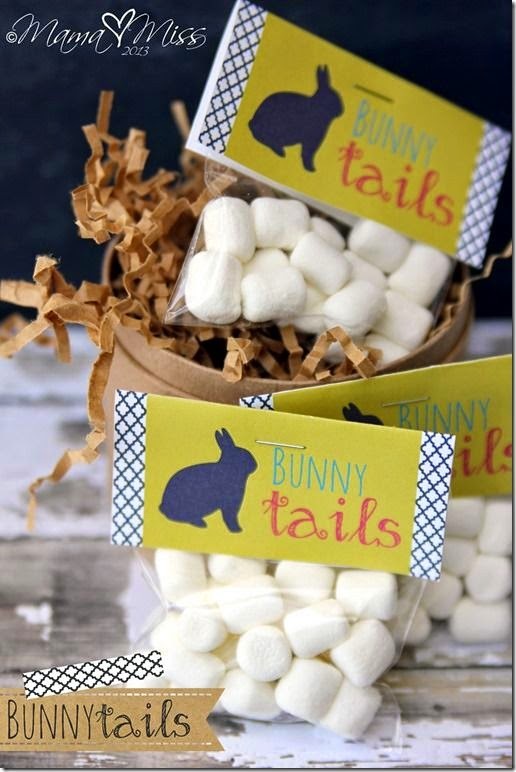 You can make them from lots of different types of sweets - lollies, chocolates and marshmallows. 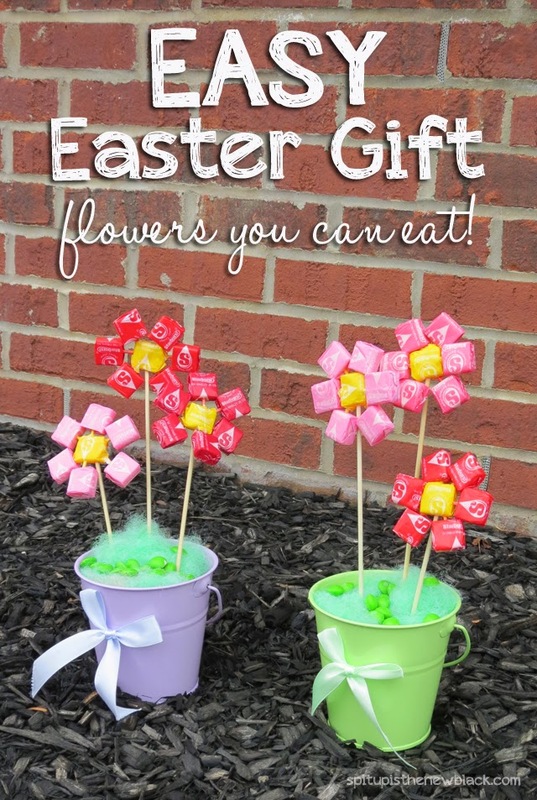 You could make a bunch of them to giveaway, or pop them in the garden for the kids to find on their Easter Egg Hunt. 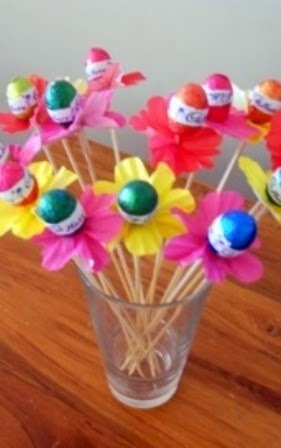 These plastic Easter eggs are so versatile that you can fill them with anything - not just chocolate. We love the idea of filling them with socks and other trinkets. 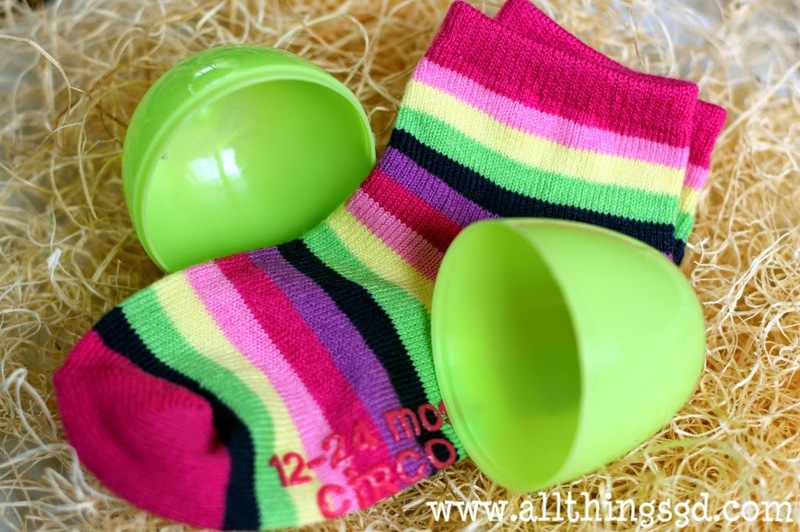 They're fun and brightly coloured so the kids will love finding these as much as the chocolate eggs on their Easter Egg Hunt. 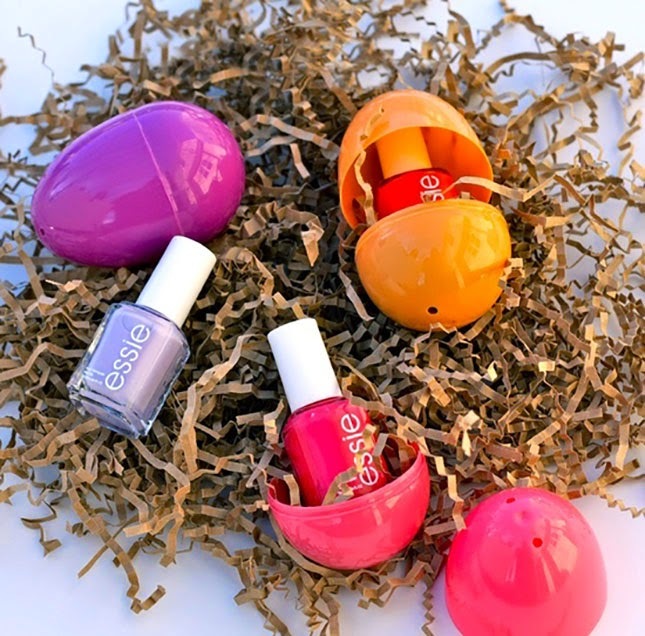 These eggs can also be used for big kids too! 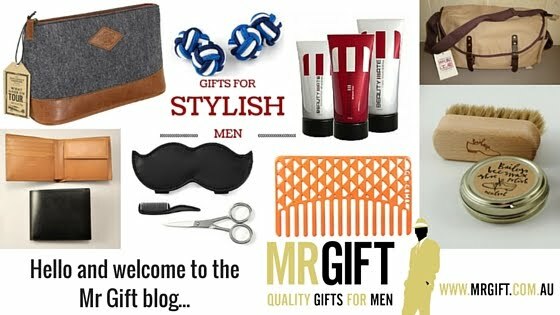 Fill them with nail polish, makeup or other pampering treats for adults. 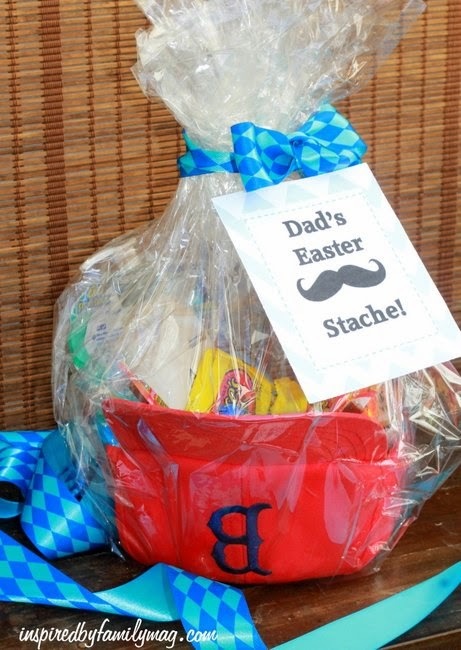 Cause Dad's deserve an Easter treat too! Turning a baseball cap upside down and filling it with treats means that Dad has something to keep once all the treats are gone. 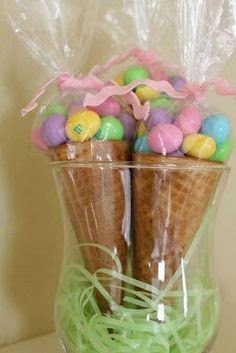 The materials you need to make one are easy to source and don't cost much - cellophane, ribbon, sweets and an icecream cone. You can pop some marshmallows or larger sweets inside the cone to fill out out and then place smaller sweets on top. It's inexpensive and can be a nice way to use up old paper, wrapping paper, cards, magazines and newspapers. 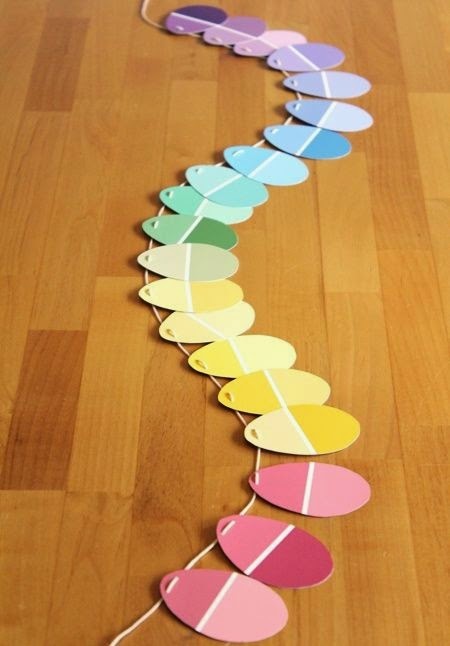 Do you decorate your house for Easter, or do you have a favourite Easter craft activity to do with the kids?